It is important to keep a neat record of your science studies. Harry Perkins Institute for Medical Research. 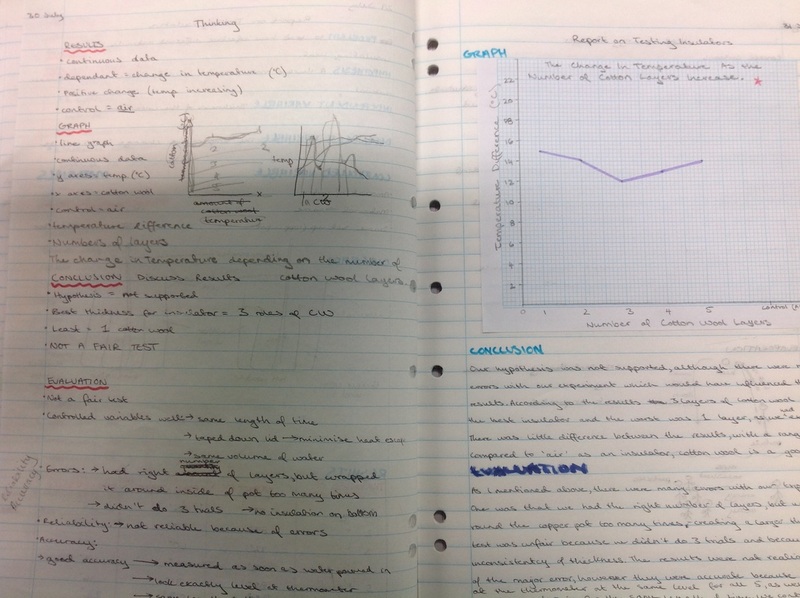 Ms Charman shows off the notebook of a PhD student who is conducting medical research. Records of all work must neat and complete. This is what we expect of our science students too. Its good training! Instructions for the embedded sheet "Guidelines for the Interactive Science Notebook"
Do you have spaces on your Left-Side pages? 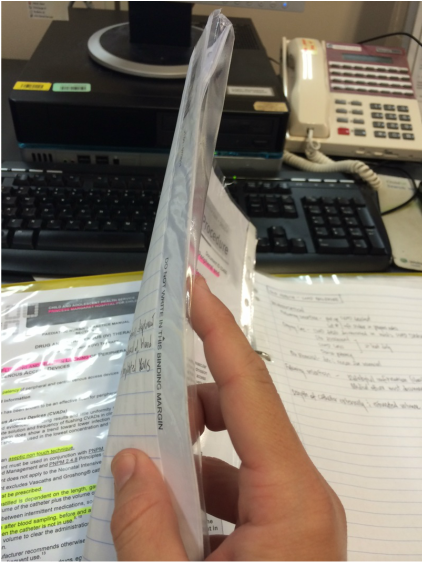 A nurse pursuing post-graduate studies shows how she organises her research for her thesis. She uses the Left-side / Right-side method. Journal and reading material are filed on the Right-side, her notes and reflections are made on the corresponding Left-side. When she writes her draft thesis, if she needs to refer back to the original source it is right where she needs it. Right on! 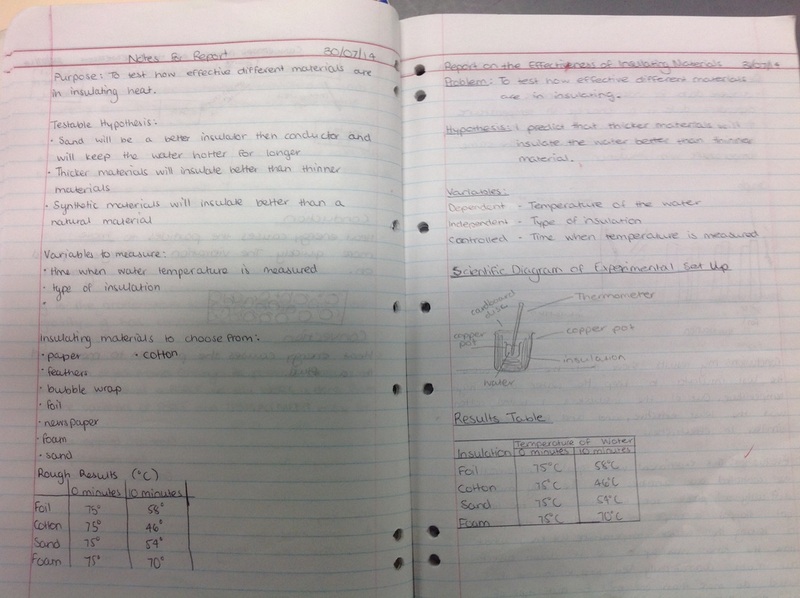 One of the problems of using the ISN is when students come to write their scientific reports of Investigations. Break with the format and write left-right? 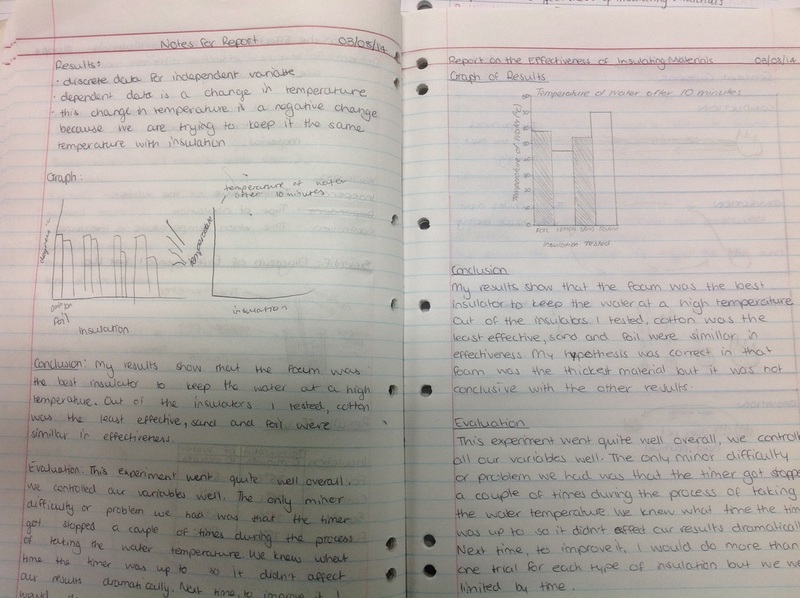 Apply the principle of the ISN to show thinking/understanding of the process on the left-side pages and write the formal report on the right-side pages? 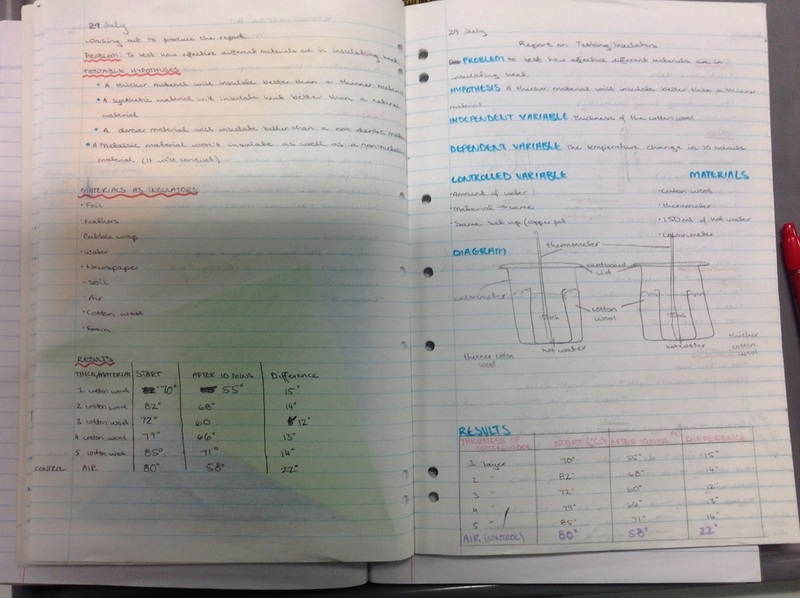 The following images show examples of student use of left and right pages to demonstrate their thinking on the left and the formal report on the right pages. These images were taken before the students work was marked. The next step maybe for the teacher to create uniform scaffolding for the thinking that should appear on the left-side pages. 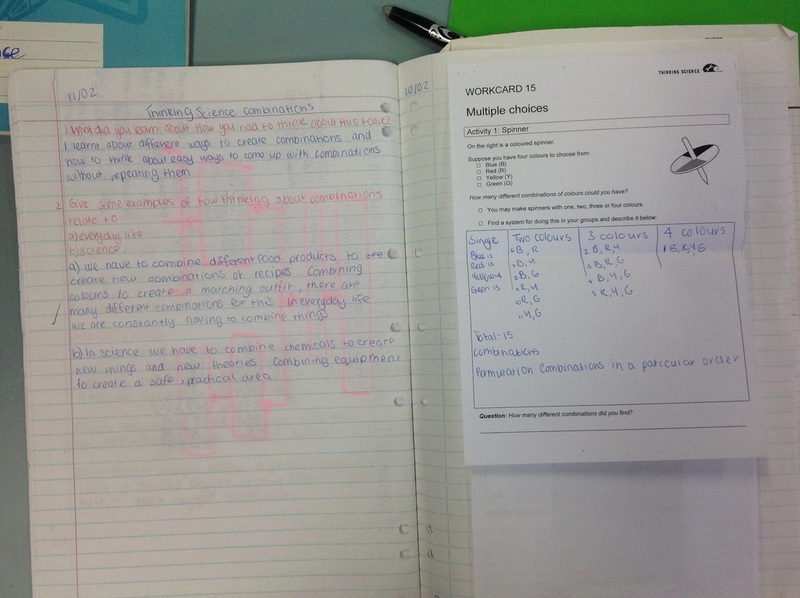 Three student examples of ISN Report-Writing. Remember that when reading the ISN the right pages flow through the formal aspects of a concept while the left pages show the student-thinking, or study of the concept. This student is using the left-side page as a draft. 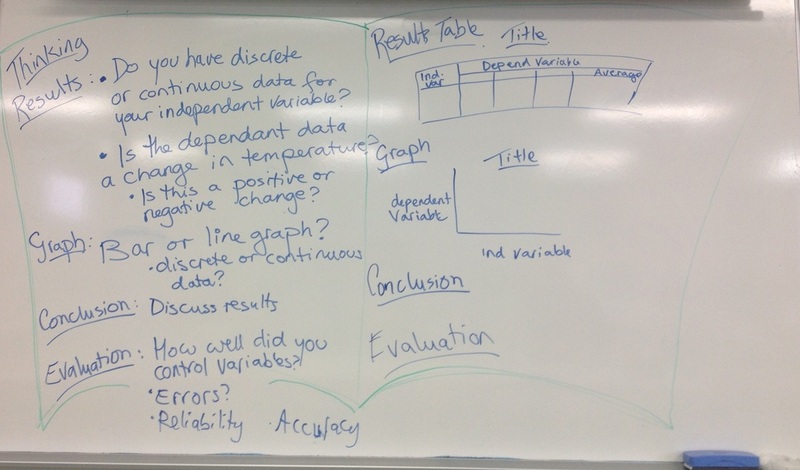 This student is exploring ideas for the best type of graph to present the type of data gathered. 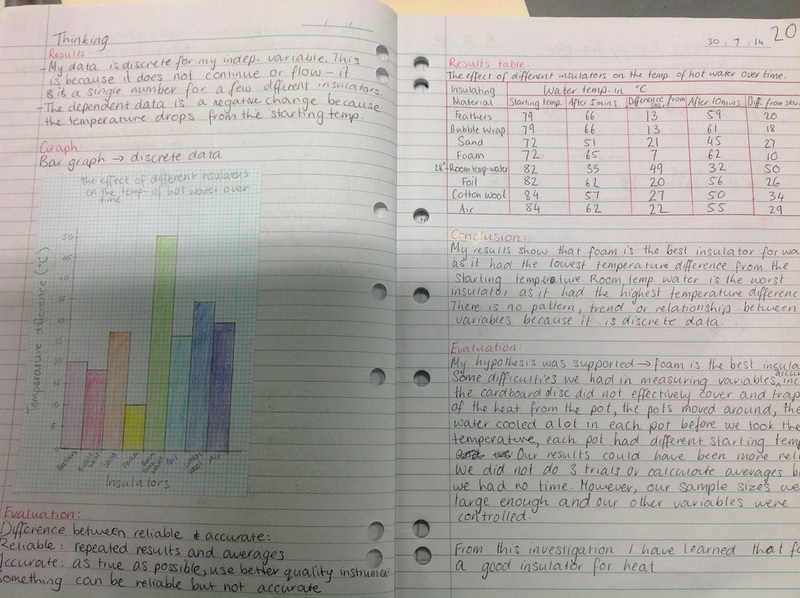 To conserve paper this student has posted their graph on the left-side page. 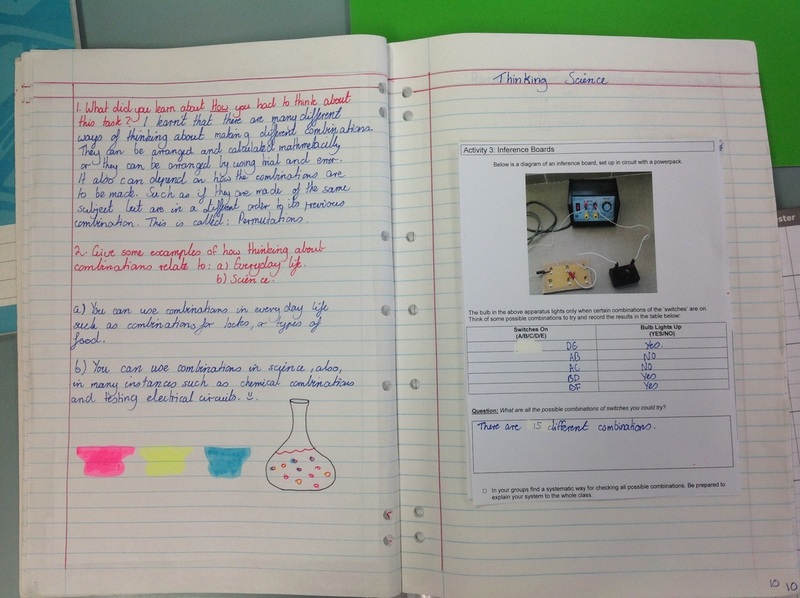 Another challenge is how to record the "Thinking Science" activities. One suggestion is for students to discard their note-making sheets as a reward for thinking. My solution is to keep the formal sheets on the right-side pages and allow students to articulate their metacognition on the left-side pages. This reinforces that they are learning reasoning patterns. Students may refer back to their pages and modify their ideas as necessary. 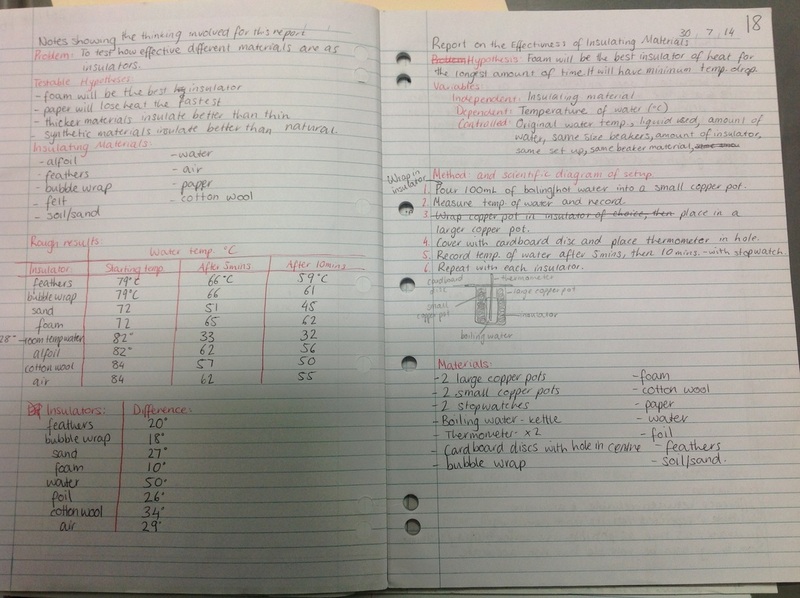 The two images below show how two students organised their formal sheets on the right and their understandings on the left.